Our members provide business travellers a stress-free place to stay in their busy life. 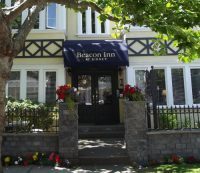 Our Bed and Breakfast innkeepers excel when meeting the needs of the business guests. They offer quiet rooms, business amenities, and the ability to have breakfast on your time! 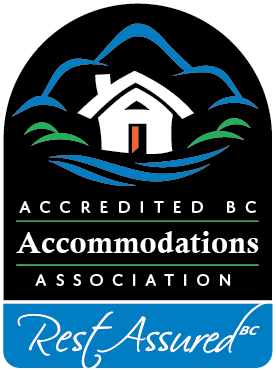 When you are on the road for business choose a member of Accredited BC Accommodations and know that your stay will be “Rest Assured”. We are located 10 minutes from the city of Kelowna and Conference Center and 5 minutes from the Business District of West Kelowna. We offer flexible breakfast times and types of breakfast to suit your schedule and needs. 5G Wireless internet, guest computer, printer available. Special rates for single business travellers and corporate business travelers year round. For the business traveller, we can offer wireless internet. There is either a desk or table in each room. Fax and photocopying can be available on request. A lakeview room in the country, is quite an alternative to the busy city. Sit outside on our covered deck and answer you emails and write your business proposals and letter. Jog 4-8 km on a quiet country road and watch the geese fly by. Peace and quiet are here in the spring, fall and winter. A great place for a small conference. 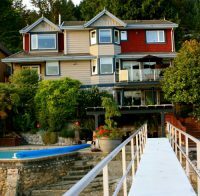 Our quiet, adult-oriented Inn is centrally located, just a few minutes drive to/from BC & WA ferry terminals and the Victoria Int'l Airport. On request, we offer a "self-service" check-in for those arriving after 8pm, and for busy guests who can't stay to enjoy a full hot breakfast, we'll get you on your way with a delicious "to go breakfast". Many complimentary extras await, including WiFi, guest laptop, parking, coffee/tea/snacks & local phone calls. Let us be your home away from home! Crystal's view offering complimentary WIFI, parking, printer, business center, corporate rates, all rooms with Tel.- free local calls. All day, coffee, tea, cookies,Early breakfast on the request, Express check In/Out, Close to transit, fine dining, shops, Library. Tired of the same old "hotel" stay? 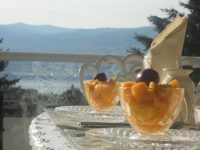 Join us at Abbeymoore Manor next time your business travel brings you to Victoria. We offer many complimentary amenities including WiFi, Parking & all day coffee, tea, soft drinks and snacks. Need an early start - we'll gladly offer an early breakfast and easy check in/out. Combine all that with wonderful beds, luxury linens and a comfortably elegant environment and you'll be converted! Call us for corporate rates.